Dr. John G. Ingersoll received a BS in Electrical Engineering from Syracuse University, a Ph.D. in Physics with a minor in Economics from the University of California, Berkeley and an executive MBA from the University of California, Los Angeles. He has been involved with energy and environmental issues for over 25 years. His focus has been on the the development of renewable energy resources and the implementation of alternative fuels for the transportation industry. He has held a variety of senior technical and managerial positions at Lawrence Berkeley National Laboratory, Hughes Aircraft Company, General Motors Corporation and Helios International Inc., the latter being an engineering consulting firm he founded in 1992. He has held several university teaching positions including the University of California, Berkeley, Los Angeles and the University of Southern California. He is the author and co-author of over 100 articles and several books. He has also received several patents, and several national environmental awards. He is listed in Who's Who In America. Dr. Christian A. Kaendler received his BS and Ph.D. degrees in Biology from the University of Cologne, Max-Planck Institute for Plant Breeding research, Germany. He has had extensive expertise in the areas of molecular biology, botany and organic chemistry. Since 1993, he has been involved exclusively in the engineering design and construction management of several anaerobic digestion facilities in Europe as member of two of the leading firms in Europe (OWS and BRV. 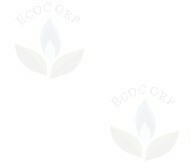 At ECOCORP, he is responsible for marketing the process to municipalities, reviewing the design of U.S. facilities, and advising on substrate selection, quality control, and start-up of each new facility. Dr. Kaendler also directs ECOCORP's substrate sampling and testing program.